Instead of using the print driver’s factory default settings you can add your own print driver configuration. When the printer is added on the user’s computer the configuration is added as well. That way, the user does not have to make these configuration changes. If you are satisfied with the print driver’s factory defaults, you do not need to make a print driver configuration. 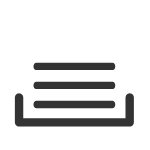 Specifies the availability of Installable Options (such as Paper trays, Duplexer, Staple, Hole punch, and Output bins), and for example Form to tray Assignment. 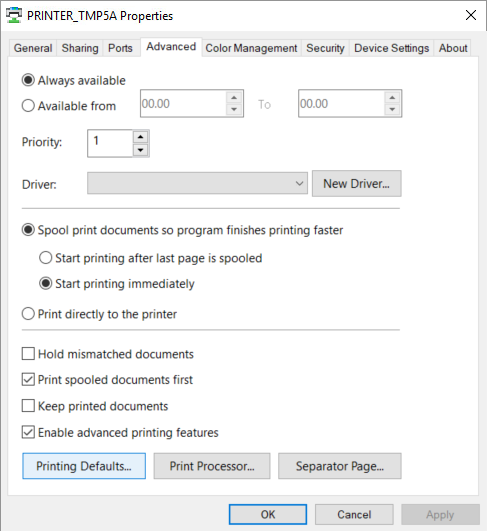 If the print driver is a Universal print driver, you may have to select a Configuration tab and perhaps also set the Printer model. Open the Advanced tab and select the Printing Defaults… button to configure per-printer defaults. Printing defaults include Advanced Document Settings (such as Print 2-sided, and Print in black), and for example Finishing Options. To be certain that the configuration settings are stored in a manner that drivers can understand, the computer used to create configuration files should use the same operating system edition and driver version. *Print driver configurations are not supported for Mac. Please inform us if you require this. *You should be signed in to Printix Administrator and Printix Client with the same account (Role: System manager). *For best user experience open Printix Administrator on the same computer you want to make the print driver configuration on. Enter Name. Example: A4, Tray 2+3, Stapler. Select the Computer you want to use to make the configuration. You and only you must be signed in to the computer. If the Select computer list is empty, it is because you are not signed in to Printix Client on a computer that match the System (Windows 10 ×64). For best user experience open Printix Administrator on the same computer you want to modify the print driver configuration on. If you are remotely signing in to the computer, we recommend you also open Printix Administrator on the computer. This may take several minutes depending on the size of the print driver and the speed of your Internet connection. *If the Print driver configuration dialog closes unexpectedly it could be because the print driver did not install in a timely manner. Wait a few minutes to allow the print driver to be installed and then try again. Please inform us if it still fails. Make your changes in the PRINTER_TMPxxxx properties dialog. Make sure to make you changes within 10 minutes, as the dialog is closed automatically. Your view of the dialog may be blocked by other windows. Select Alt + Tab key to switch between windows. Open the Device Settings tab to configure Installable Options and Form to Tray Assignment. See the section Print drivers for detailed instructions. Open the Advanced tab and select the Printing Defaults… button to configure per-printer defaults. *The print driver configuration stores the Printing Defaults. It does NOT store Printing Preferences. 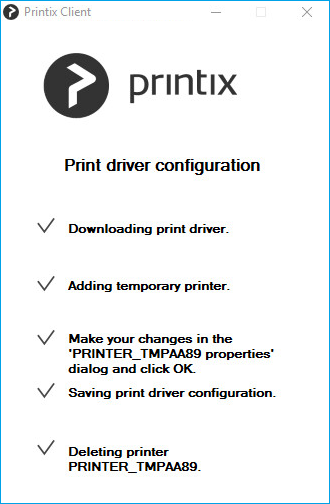 The print driver configuration is uploaded to Printix Cloud. The temporary printer is removed from the computer. The print driver configuration is selected. Start the discovery from the computer that has a print queue with the desired print driver and print driver configuration. The print driver configuration will be named the same as the print queue. Uppercase and lowercase letters are treated the same. In the Modify print driver configuration dialog select the Computer to use to modify the configuration. Select Continue. Follow the same steps (7 to 12) as in Add a new print driver configuration. Select Confirm to delete the configuration.